Wingborn Ltd was established in 2004 by Howard Slutsken, a respected veteran executive in Canada’s television industry. Initially, Wingborn provided consulting services to Canada’s media companies in various disciplines, including programming, regulatory and corporate structure. Over the years, the company has diversified to include marketing, sales, product sourcing, and communication services and writing for our international client base. We also provide services from strategic planning to line-level marketing, and management support to project development and execution. We’re experienced in the “Executive-On-Call” role, when our clients need a seasoned, senior manager to maintain business continuity during an ongoing executive recruitment. To write about aviation, airplanes and airlines is to tell stories about science, art, business, and experiences, and Howard is uniquely qualified to be that kind of storyteller. He combines his lifelong knowledge and passion for all things aviation-related with his strong writing skills. Mix in his love of flying gliders and powered planes, and he can tackle virtually any aeronautical topic. He can write in most any “voice” – creative, technical, first-person, or for social media. And he makes sure to get the right photos to make his stories even better. All of the images on this website are Howard’s photo work. He brings his extensive research, management, and photographic skills to all of his stories and projects. 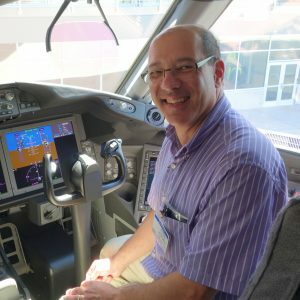 His work can be found in print and online in the Airline Passenger Experience Association’s APEX Experience magazine and blog, CNN Travel, The Points Guy, Skies and Vertical magazines, AirlineReporter.com, AirwaysNews.com, Aviation Week & Space Technology, and Flightglobal.